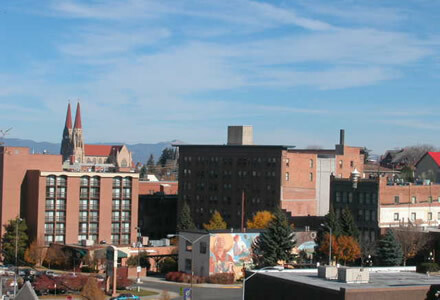 Known for its setting amid pristine rivers, majestic mountains and wide-open spaces, Helena, Mont. (pop. 28,180) is a city of extraordinary beauty. Montana’s third territorial capital, today’s state capitol and seat of spectacular Lewis and Clark County, Helena became “Queen City of the Rockies” with the boom sparked by an 1864 gold strike. When the precious ore played out, the city fought off becoming a ghost town, leveraging its central location to reemerge as a territorial banking, political and commercial center. Today, the city’s glorious past can be witnessed in a treasure trove of spectacular 19th-century mansions, historic mining-era businesses and restored pioneer dwellings. The imposing St. Helena Cathedral, modeled after the cathedral in Cologne, Germany, overlooks the downtown area, its lofty towers offering a manmade echo of the stony spires of the surrounding mountains. Nearby, the original Governor’s Mansion and the copper-domed State Capitol Building are popular landmarks worthy of a visit as are the Montana Historical Museum and the shops in the downtown area known as Last Chance Gulch. Its prime location on the Rocky Mountains Front allows Helena to offer a wide range of activities for outdoor enthusiasts. Visitors can hike along the Continental Divide Trail, through the Blackfoot Meadows or into Mount Helena City Park, with spectacular views of town from 5,460 feet. For water-sports enthusiasts, there’s fishing, water-skiing and boat tours that follow the same route Lewis and Clark took in the early 1800s. July’s Last Chance Stampede and Fair, a rodeo, carnival and livestock exhibition is a highlight of the summer season. This is the sixth time the National Trust for Historic Preservation has announced a list of Dozen Distinctive Destinations. To date, there are 72 Dozen Distinctive Destinations located in 36 states throughout the country. To see a complete list, visit www.nationaltrust.org. In each community, residents have taken forceful action to protect their town’s character and sense of place. Whether by enacting a local preservation law to protect historic buildings against demolition, rewriting zoning codes to prevent commercial sprawl, removing regulatory barriers to downtown housing, enacting design standards, or taking some other major step that demonstrates a strong commitment to their town, residents have worked hard to preserve the historic and scenic assets of their communities, with rewards that transcend town limits.